Blending the clean lines of Arts & Crafts with functional movement, the Ameillia Collection is a solid addition to your casual dining space. The drop-leaf counter height table features a lazy-susan making mealtime service a breeze. 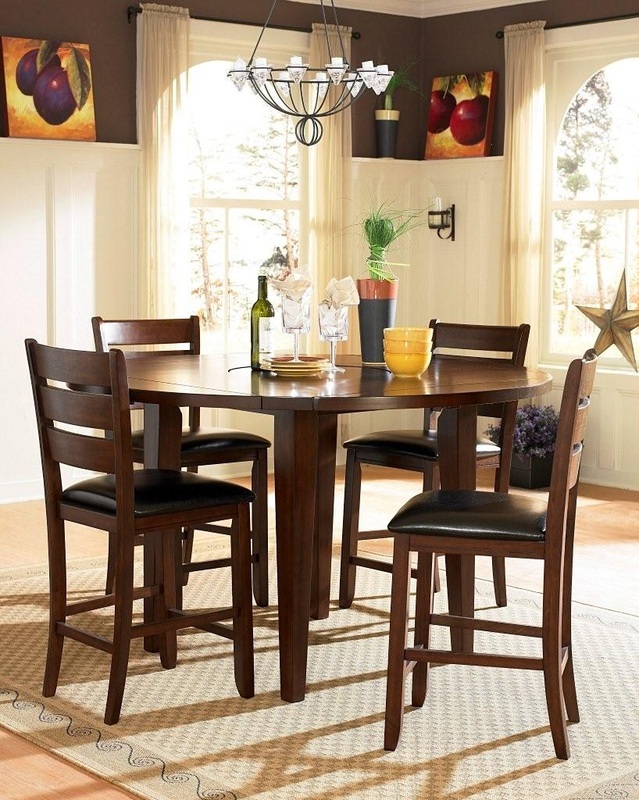 Substantial tapered legs and birch veneer in a dark oak finish complement this simple and refined dining option.